Fishamble: The New Play Company presented Silent at the Warwick Arts Centre on Thursday 23 and Friday 24 November 2017. Silent, which together with Forgotten and Underneath forms an ‘accidental trilogy’ of plays written and performed by Pat Kinevane, is a play about many things; or rather, it is a play about a few things explored in all their multifaceted complexity: family, homelessness, love, homophobia, community, guilt, mental health. The story follows Tino McGoldrig, named after the glamorous black and white film star Rudolph Valentino, from his youth in Cork, Ireland, through his relationship with his brother, his mother, his young family, up to his homeless years in Dublin. The plot, however, is anything but linear: flashbacks and flash-forwards, moments of reflection, and sudden changes in the pace and tone of the scenes offer a vivid impression of the strange workings of memory, emotion, and life itself. Rudolph Valentino is not only the main character’s namesake; his style, wonderfully reimagined in the soundtrack and in Kinevane’s movements, is also an ideal (if unexpected) means to convey poignant ideas about passion, destruction, and unconventional masculinity, all central themes of the play. Humour is another powerful device employed in many ways and for many purposes: as a coping mechanism, as a way to encourage empathy, as an alienation device which highlights the many contradictions and failures of society. The humour in Silent is brilliant but never lets the spectator off the hook: it is, in many ways, cruel, accusatory, aimed at interrogating the audience directly. Yet, much like the play itself, it is never dark for the sake of being dark, and never forgets – or allows us to forget – the people behind the characters, the humans behind the masks. 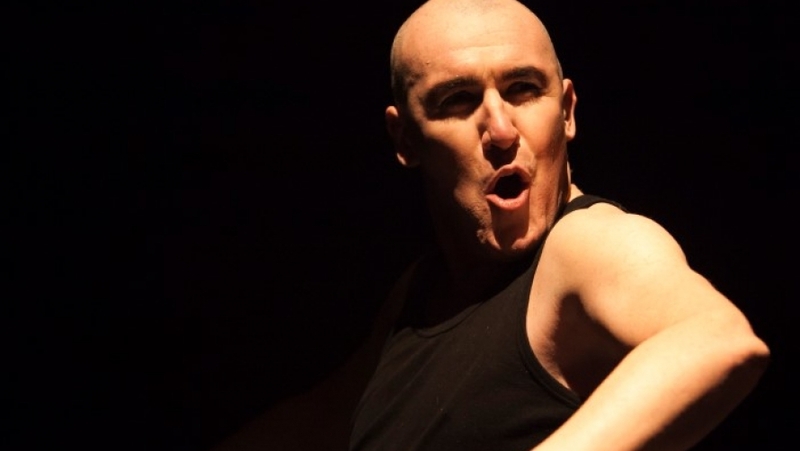 The weight of the play’s story, themes, and style rests entirely on Pat Kinevane’s shoulders, and he masterfully pulls off changes in tone – from sarcastic to introspective, from tender to desperately sad – as well as in character – he is Tino himself and his fierce ‘war mama’, his brother – who ‘only desires to be desired’, like all of us – and his wife, his tight-knit (almost suffocating) hometown community and the cold big city. The result is a touching, challenging, complex play, a story told with heart but without condescension.